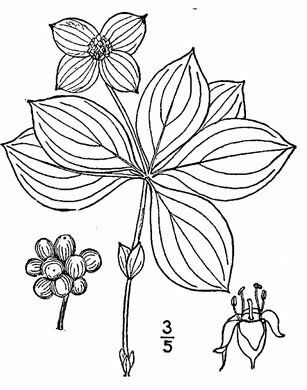 Leaves in 2-4 pairs, per Weakley's Flora. 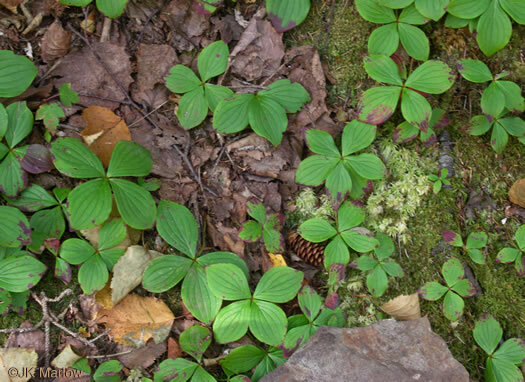 Herb or dwarf shrub from a woody rhizome, to 2dm tall, per Weakley's Flora. 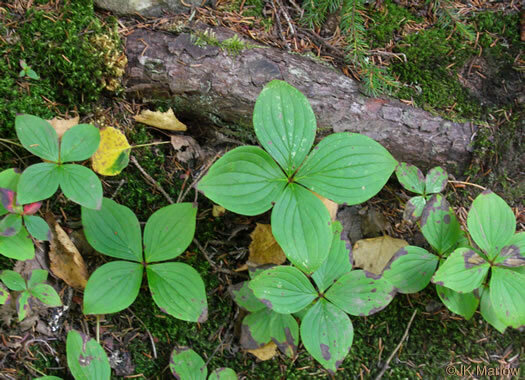 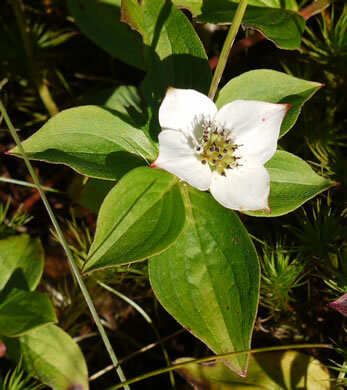 Four large bracts surround a central cluster of 4-petaled yellowish flowers, per Wildflowers of the Southern Mountains. 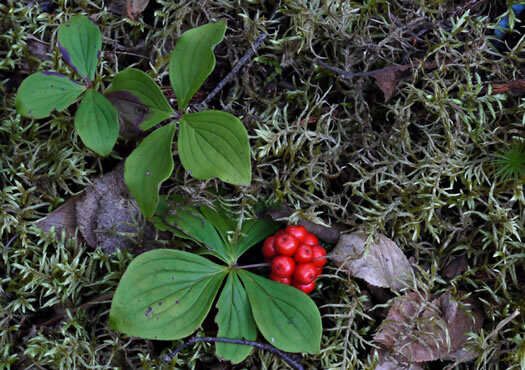 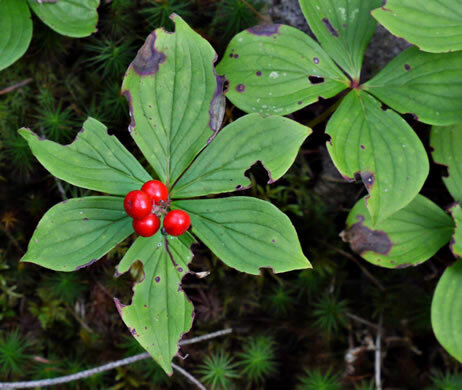 Fruits are bright red drupes, per Wildflowers of the Southern Mountains.